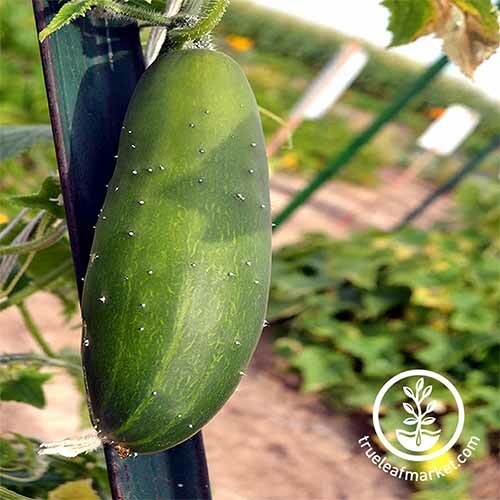 Need more info about cucumber (Cucumis sativus) varieties that will do well in your area? 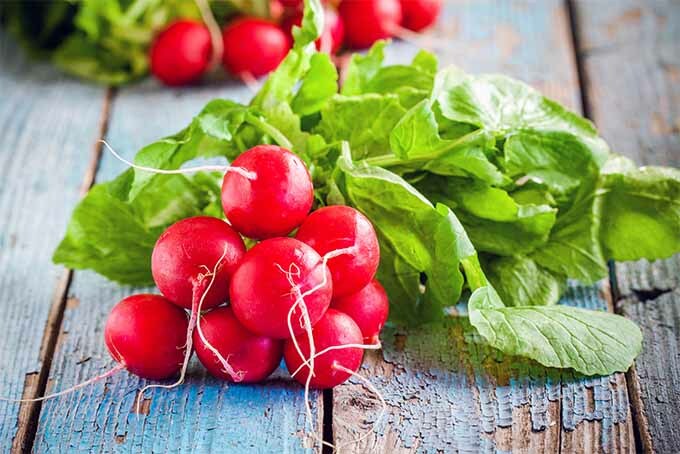 Want easily accessible sources for seeds, whether for eating straight up or for pickling? You know we’re here for you! First we’ll tell you about some varieties that do well pretty much anywhere, then we’ll get a bit more zone specific. Just so you know: In our listings below, we’ve indicated the All-America Selections winners. 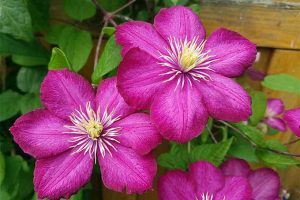 The AAS is an independent organization that judges flower and edible plant varieties for garden superiority. These green beauties do well in almost any part of the country. Very dark green hybrid with good disease resistance. 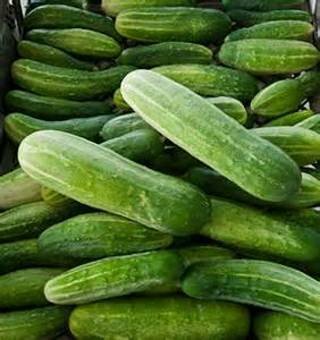 Vigorously produces white-spined fruit in 55 days, great-tasting cucumbers that are about 8.5 inches long. 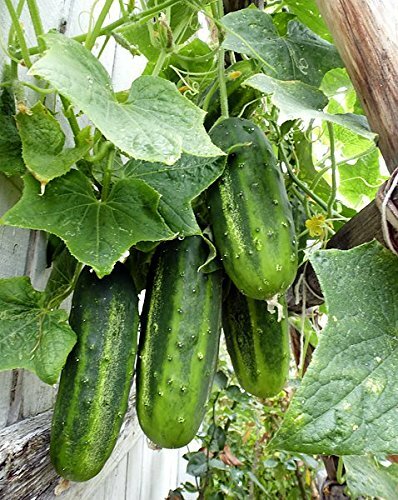 Best grown on a fence or trellis for easy harvest, seeds for this variety are available from Amazon. 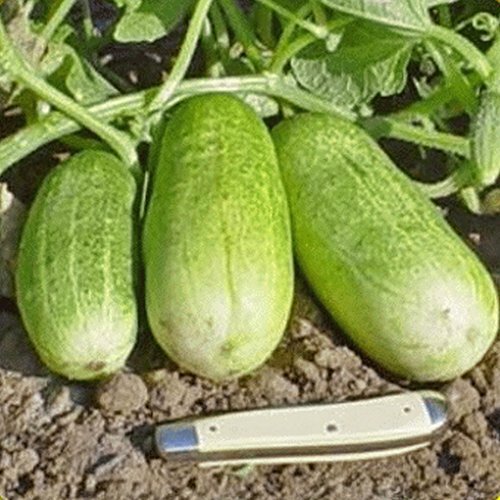 Burpless hybrid that produces 12- to 14-inch seedless, thin-skinned fruit. Mild, sweet taste. Fifty-four days to maturity. Should be staked or grown on trellis. AAS winner. 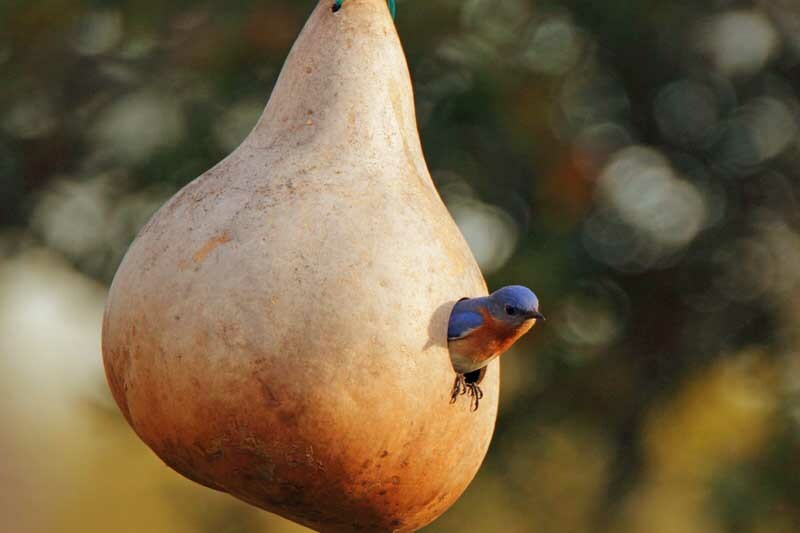 Get these seeds now on Amazon. Bush-type, compact plant bred for containers. 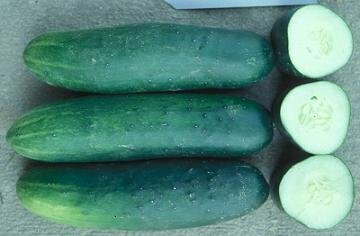 Dark green, 8-inch cucumbers. Disease resistant, and ready in 57 days. AAS winner. 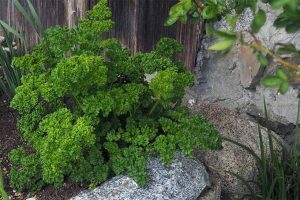 Seeds for Salad Bush are available from Amazon. 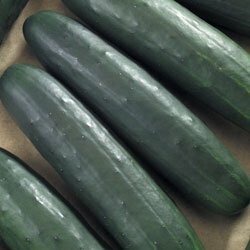 Straight, 8-inch fruits with fine-grained flesh and great taste. 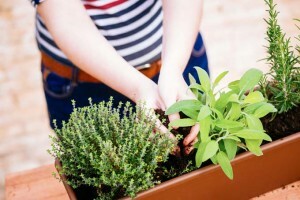 High yield in home gardens. 65 days to maturity. 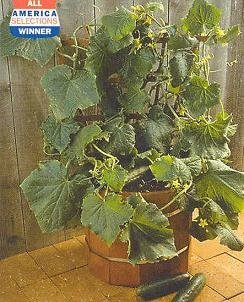 An heirloom with long trailing vines that appreciate support. AAS winner in 1935. Straight Eight seeds are available from Amazon. 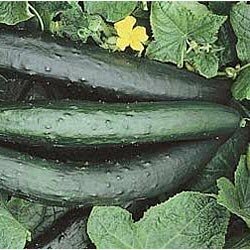 Short, 3-foot vines produce 7- to 8-inch cukes in 60 days. Good for containers. Crisp, non-bitter fruit. 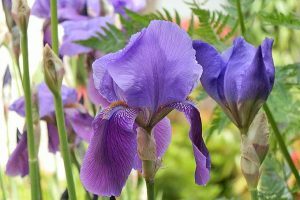 Get these seeds from Mountain Valley Seed Co.
Grows up to 12 inches long, but best if picked at 8 or 10 inches. Mature in 50 days. High yield over long season. 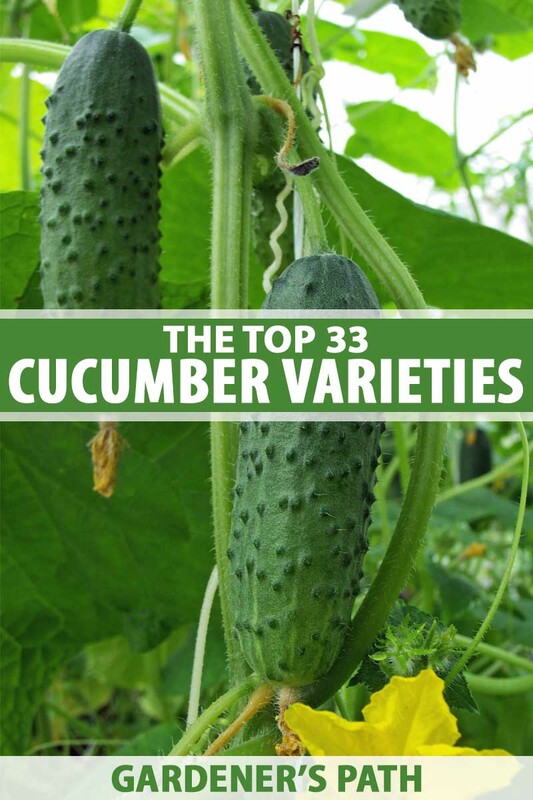 This variety is available from Mountain Valley Seed Co. Developed in North Carolina, but does well broadly. One-by-three-inch blocky fruit. Dark green with minimal white spine. Matures in 52 days. Available on Amazon from Stonysoil Seed Company. 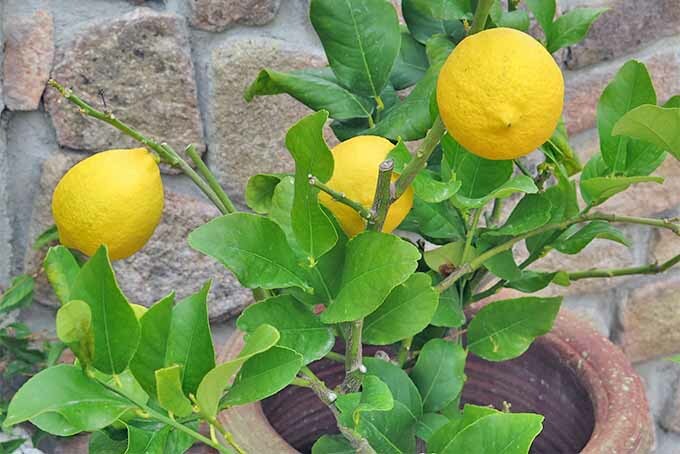 Medium length fruit, 3 inches to 5 inches in length. Smaller than normal leaves improve visibility for harvesting. 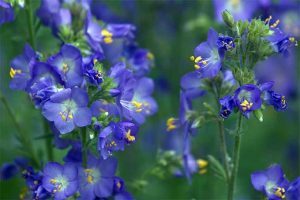 Organic seeds are available on Amazon from David’s Garden Seeds. 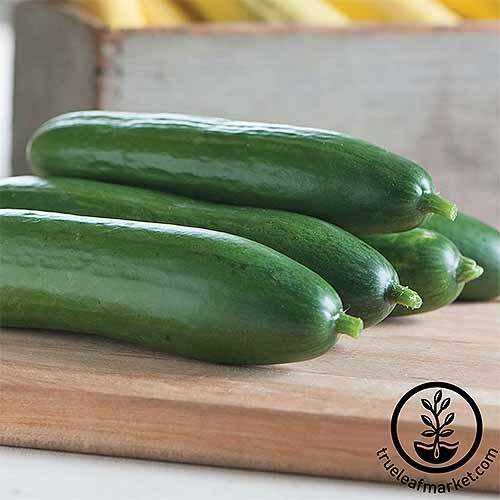 Produces large yields of 6-inch crispy and tender-skinned cucumbers. 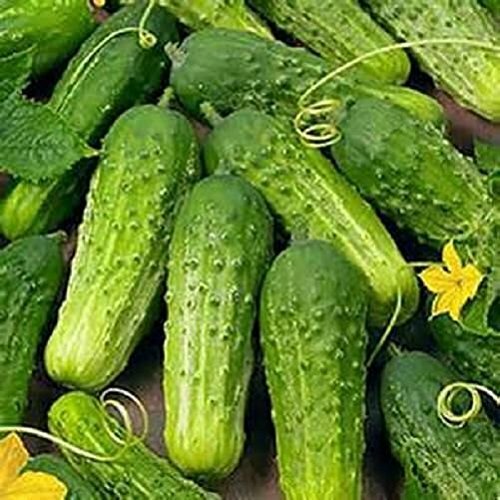 Good for dill pickles. Vines are vigorous and medium-length. 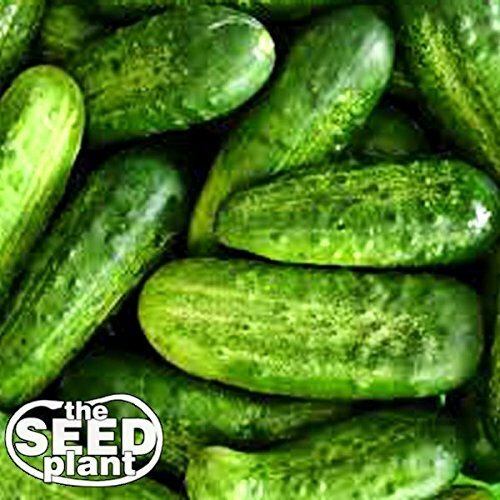 Seed and Plant sells National Pickling seeds that are available on Amazon. Our northernmost friends will likely have the best luck with these types. 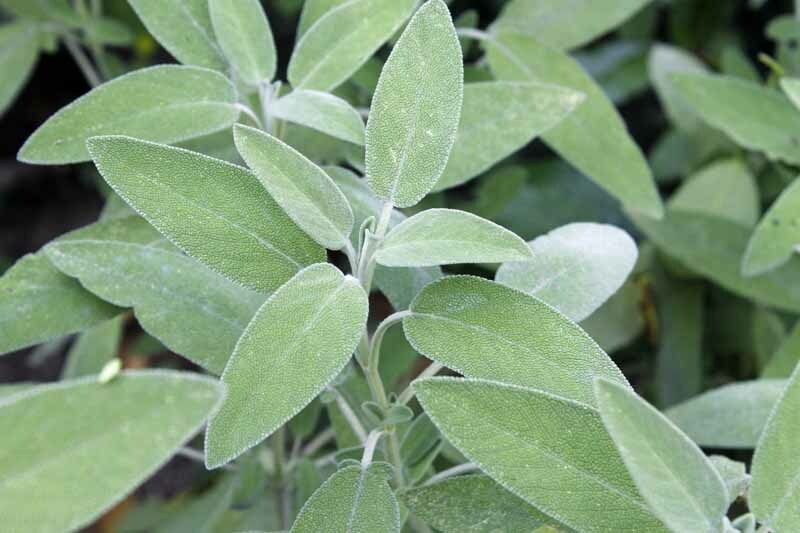 Popular strain in northern regions for its productivity and resistance to disease. Slender, straight, 8- to 9-inches. Matures in 67 days. 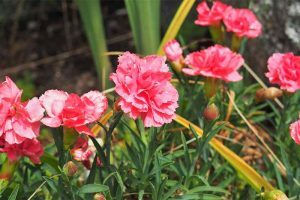 Buy these seeds today from Mountain Valley Seed Co.
Semi-glossy, thin-skinned, and 6 to 8 inches long. 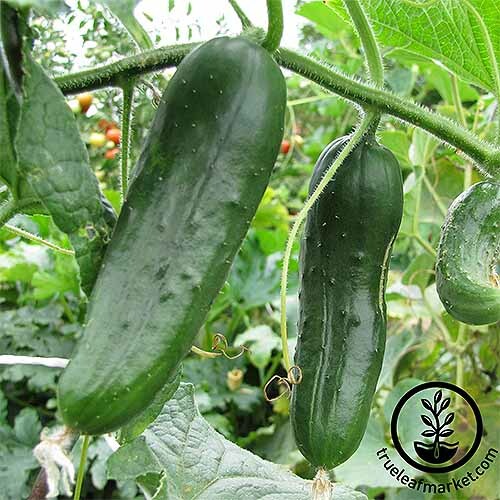 Matures in 58 days, and is resistant to many common cucumber diseases. Sweet taste. AAS winner. Mountain Valley Seed Co. carries Diva seeds. Slim, 8- to 9-inch, uniform fruits. Excellent texture and flavor and resistant to disease. Short, 2- to 2 1/2-foot vines produce high yield. Uniform green with no yellow bellies, this hybrid matures in about 63 days. AAS winner. 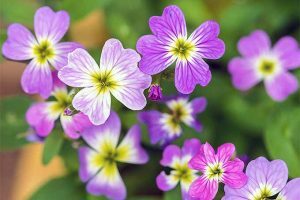 Get Fanfare seeds from Mountain Valley Seed Co. These are the type you’ll often find wrapped in plastic wrap at the grocery store. Ten to 14 inches, slim, and burpless, this hybrid takes about 64 days to harvest. 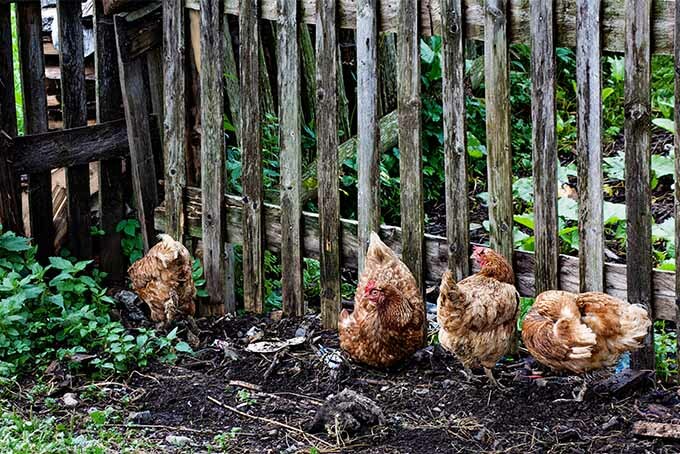 Five-foot vines require trellising. Find these seeds now on Amazon. Ten- to 12-inch fruits are burpless, crisp, and sweet. Ready for harvest in 55-62 days, this hybrid variety produces over a long season. Thin, tender, and dark green skins. Seeds for this variety are available on Amazon. 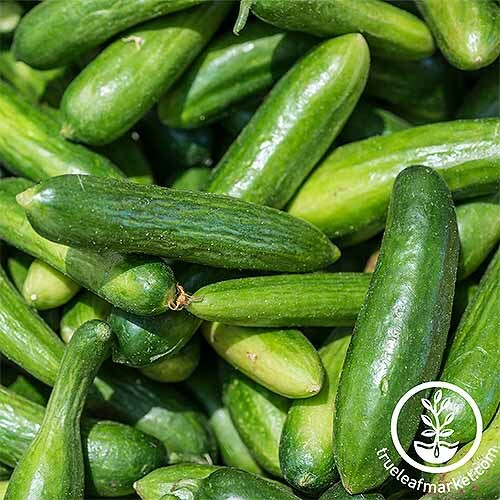 This crisp, sweet pickler is a heavy producer that matures in 55 days. 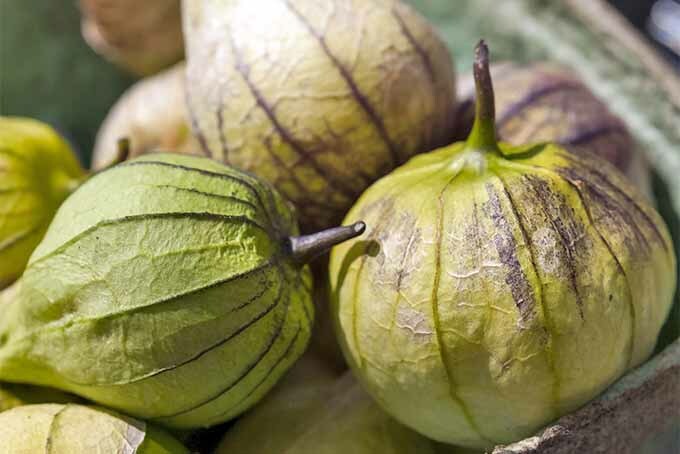 A dual-duty variety, it can also be eaten right off the vine. Organic Wisconsin SMR58 seeds are available on Amazon. 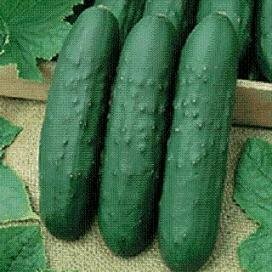 Bush pickler with small seed cavity and good resistance to disease. Works well as a slicer, too, if picked at 7 inches. 57 days to harvest. 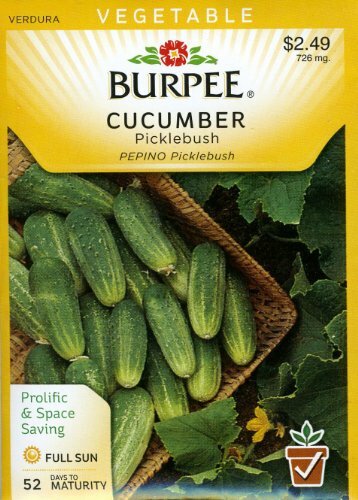 Eureka seeds are available on Amazon. Vigorous 5-foot vines offer excellent disease resistance. 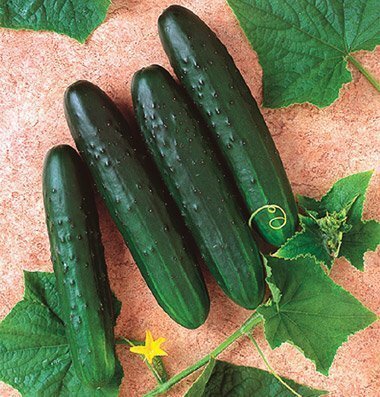 Harvest when small for baby sweet pickles, or 5-6 inches long for dills. 55-60 days to full maturity. 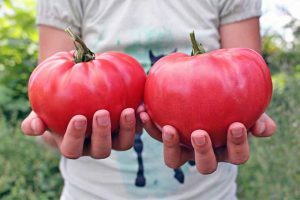 Get organic seeds to grow this type now, available on Amazon. Developed in Maine. Short vines produce many black-spined fruits in 48 days. Highly resistant to scab. 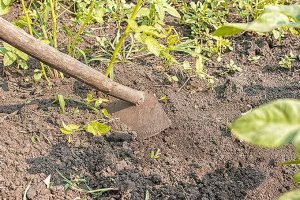 Organic seeds are available on Amazon. Breadbasket folks, check out these varieties. Prolific producer of 8- to 11-inch fruit. 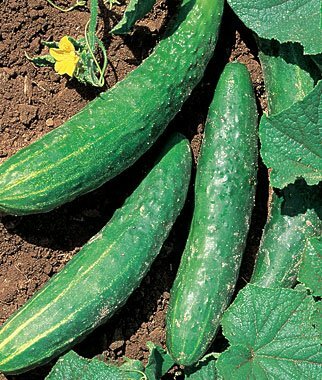 Straight, crisp, and bright green cukes in 60 days from short, compact plants. 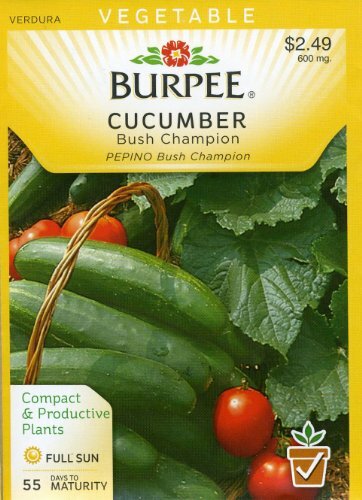 You can get these seeds in packages of 60 or 150 directly from Burpee, or they are also available on Amazon. 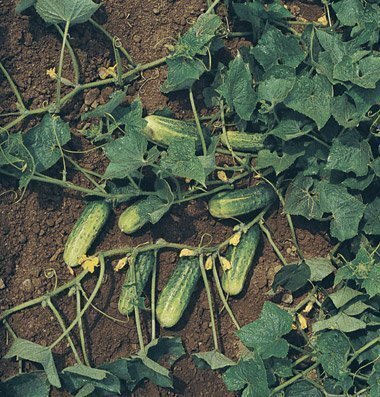 Two- to 3-foot vines produce 7½-inch cucumbers. 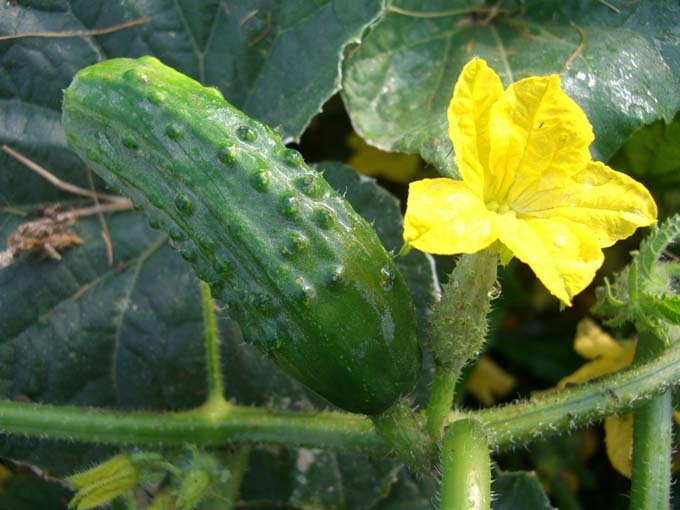 Resistant to Cucumber mosaic virus and scab. Organic Spacemaster seeds are available on Amazon. Early yields, at 45 days. Burpless fruit best harvested at four to five inches long. 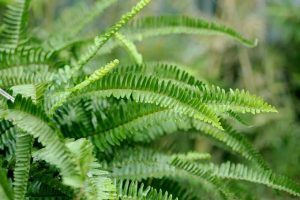 Strong, vigorous plants are disease resistant. Cool Breeze seeds are available on Amazon. 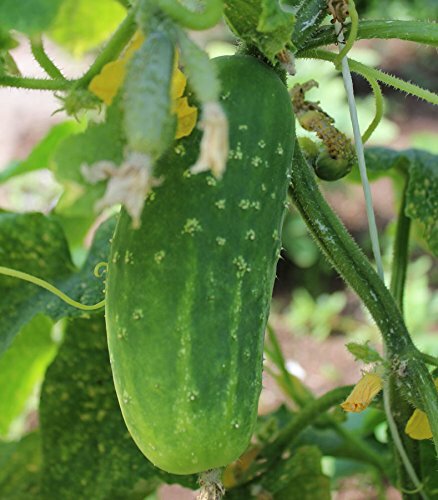 White-spined 4½-inch fruit have that classic pickle look: green with pale stripes. Highly productive. Two- to 4-foot vines. Mature at 52 days. Get these seeds now on Amazon. Uniform, blocky fruit shape. Tender skin. 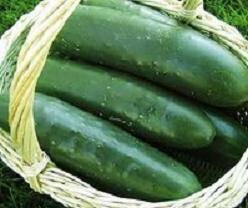 Medium green cukes ready to harvest in 53-54 days. This variety is available on Amazon. 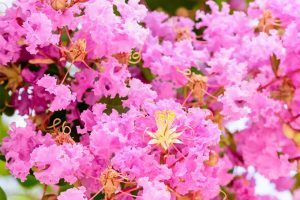 Southern gardeners will likely have good luck with these recommendations. Bred specifically for the south, though it also does well elsewhere. 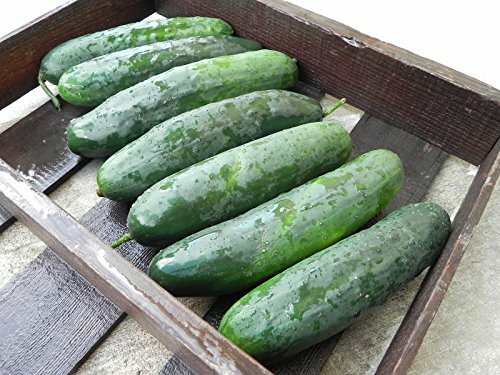 Straight, 8- to 8.5-inch long dark green fruits. Matures in 66 days. Seeds are available online, via Amazon. 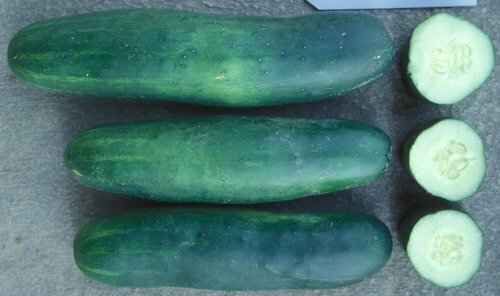 Popular hybrid matures in 67 days. Nine-inch dark green fruit with small seed cavity. Good heat resistance. Seeds are available on Amazon. Burpless hybrid with tender skin. Seven inches long. Ready to pick in 55 days. Purchase this type online, via Amazon. Moderately vigorous vines bear high yields in 54 days. Eight-inch, uniform fruit. Hybrid. Heirloom. 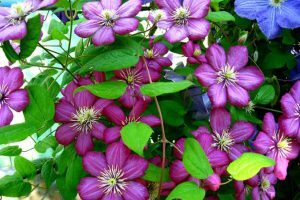 Seven to 8 inches long with good resistance to downy and powdery mildew. 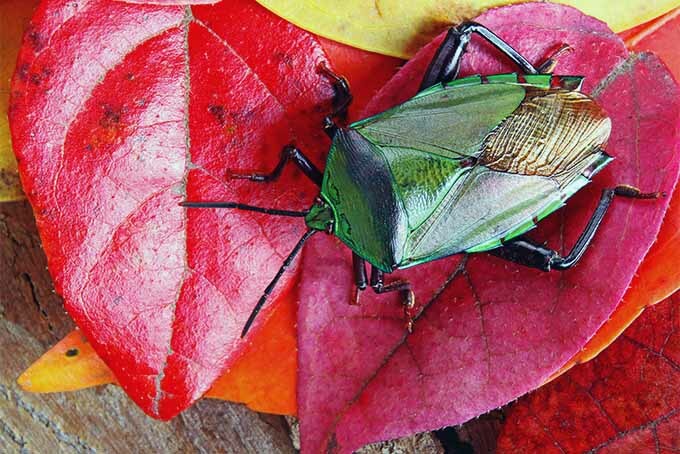 Dark green with white spines. Dark green, almost spineless, with a slight taper. Disease resistant. Matures in 53 days. Doesn’t do well up north. High yield. These are available online, via Amazon. Matures in a quick 51 days. Low percentage of nubs and crooks. 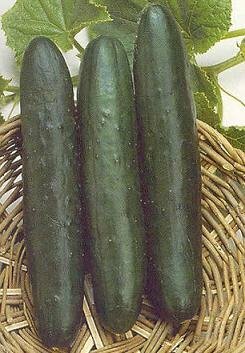 Harvest at 3 inches long for excellent pickles. 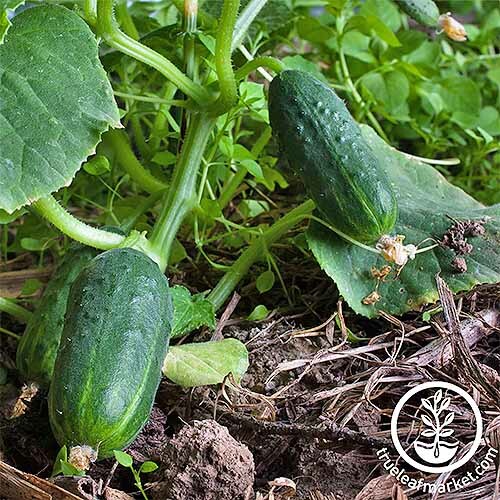 Get this cuke variety now – organic seeds are available on Amazon. 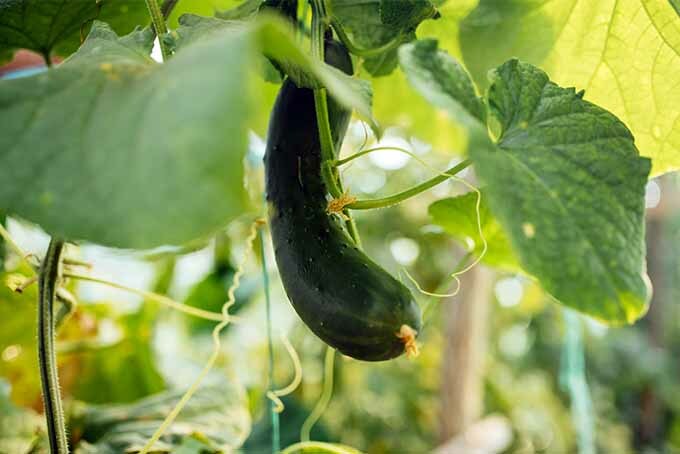 Two-foot, vigorous vines produce copious 3-inch fruits in 52 days. Burpless variety for making spears, chips, and whole pickles. 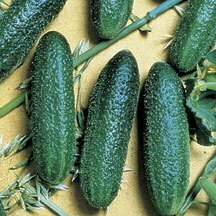 Seedless if kept away from other cucumbers. Hybrid. 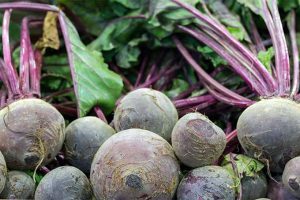 You’ll find County Fair seeds online, available from Amazon. Dark, blocky, white-spine fruit on short vines. Resistant to a wide number of diseases. 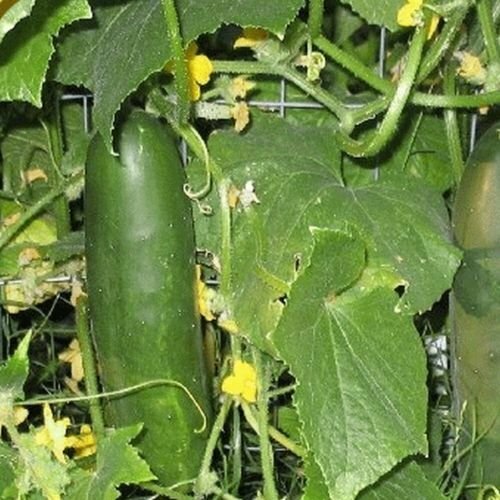 Hybrid that produces cukes in 52 days. Get this variety now, on Amazon. 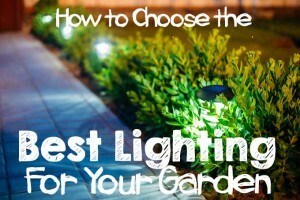 Which Variety Is Right For You? 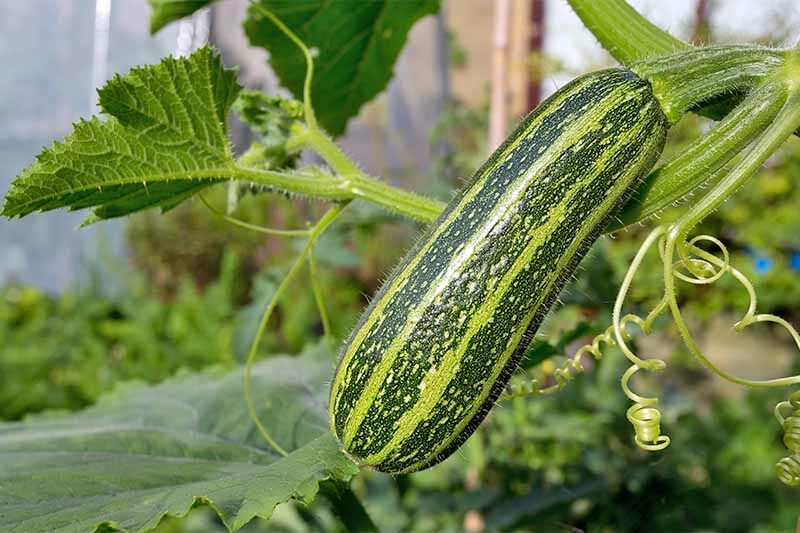 Though there are thousands to choose from, with luck, we’ve narrowed down your choices while providing plenty of options for sussing out the perfect cucumber variety for your particular area and growing environment. Pick one or two and you’ll be enjoying these green fruits in no time! 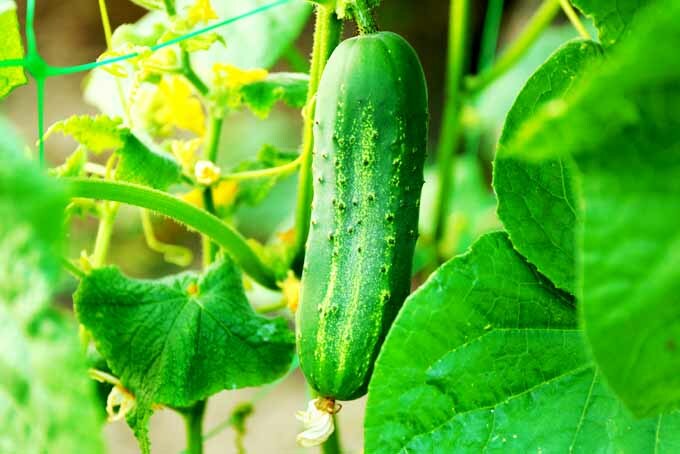 Where do you live and which cucumbers do well in your garden? 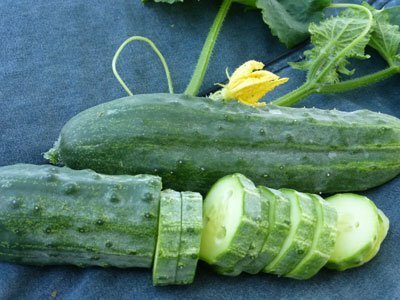 Do you prefer slicers or picklers? Share your intel with other gardeners in the comments section below! Product photos courtesy of Stupid Girl, Jays Seeds, Trueleaf Market, Stonysoil Seed Company, David’s Garden Seeds, Seed and Plant, My Seedy Needs, NoThyme.com, Everwilde Farms, JDR Seeds, Burpee, Harley Seeds, Hazzard’s Seeds, Seed Kingdom, Isla’s Garden Seeds. Uncredited photos: Shutterstock.